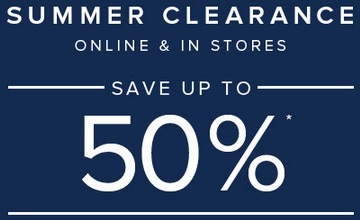 Visit any Brooks Brothers store in the U.S. and enjoy Summer savings 2015. It's exactly what you are looking for, huge savings! Possible to receive discounts up to 50% from original prices.To get more information about this offer visit your nearest Brooks Brother store. Source of the information is Brooks Brothers. Time limited offer. Some exclusions may apply.